As a lot of you know, I just got back from my trip to Vegas a few days ago. This year I have been prioritizing travel which has been amazing but tiring! One thing I have noticed when I get back from my trips is how dull and dehydrated my skin is. It is especially noticeable after I have sat on a plane for a few hours; I definitely blame the dehydration on the cabin air! After my trip to Spain, I spent the rest of the week trying to give my skin a little love and get it moisturized again. This time around, I wanted to share some of my favorite products to use after returning from a trip. All of these products have been some of my favorites over the past years and months and are perfect for helping to repair your skin after a flight or two. Dior Hydra Life Fresh Sorbet Creme - This gel creme by Dior has been one of my favorites for a few years now. I buy a new one every year during the Anniversary Sale from Nordstrom. This is a great moisturizer for keeping your skin hydrated and plump. Whenever I feel like I need some extra moisture, I will put this on in addition to my normal daily moisturizer. I always feel like my skin stays moisturized with this on versus some moisturizers where my skin quickly just soaks it all in. In the summer, I will put this in the fridge which helps keep me cool and decrease any puffiness. Clarins Lotus Face Treatment Oil - This is the oil that I use almost every night after my toner but before my moisturizer. You only need a few drops so it ends up lasting for a long time! This oil helps refine skin texture while sealing in moisturize and it smells amazing! The Ordinary “Buffet” - This multi-peptide serum is specifically meant to help tackle dryness, dullness and uneven texture which is exactly what my skin looks like after I travel. I usually put this on in the mornings after my toner and before my moisturizer. Some nights I will also alternate between this and the Clarins Lotus Face Treatment Oil. 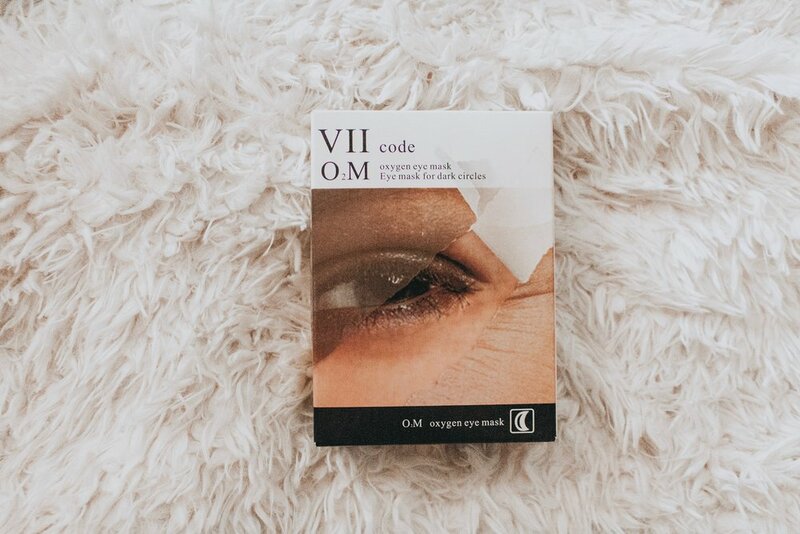 VIIcode 02M Oxygen Eye Mask - These are my favorite eye masks to use partly because you can wear them while you sleep! Often I am so busy and do not have a few spare hours to walk around with an eye mask on so putting these on just right before bed has worked really well for me! I love how hydrating they are without being oily or sliding around my face all night! I usually save these for “special occasions” when my under eye area really needs some love which is definitely the case after I travel. 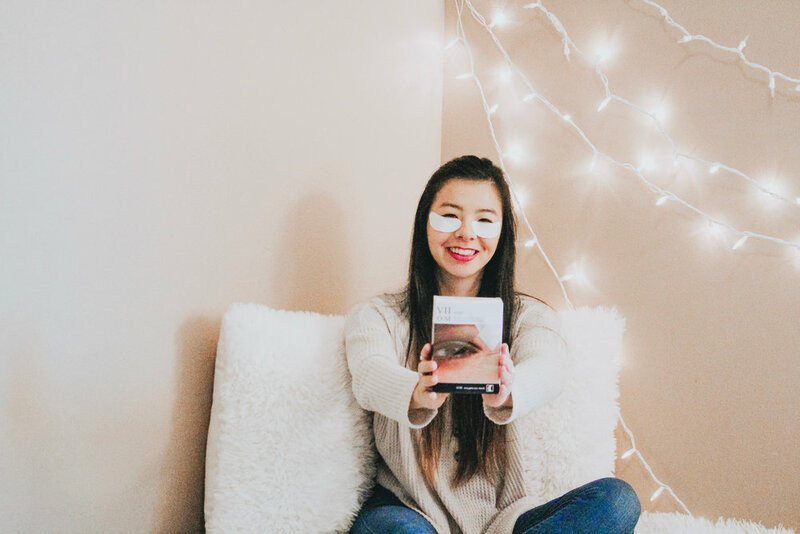 Awhile back I wrote a blog post all about these eye masks which you can read here. VIIcode Oxygen Hydrating Eye Spray - This is one of the newer products by VIIcode and works well with the patches! I will use it on nights when I do not use the patches. I always make sure to take out my contacts and then close my eyes and give each eye a spritz. This spray helps to keep the eye area moisturized which helps my eyes look less tired the next day. Mario Badescu Facial Spray with Aloe, Herbs and Rosewater - I love this mist for whenever I need some extra hydration or moisture on my face. I will sometimes use it in the morning, at night, or in the afternoon when I feel like my make up to look “newer” and is starting to get a bit dry. I love the light smell of this facial spray and love that it is refreshing without making your skin feel tighter as it dries. I usually only will do one spray at a time so each bottle lasts me a few months. I have linked all of these products above for those of you interested in purchasing! Although this post is partially sponsored, all opinions are my own. 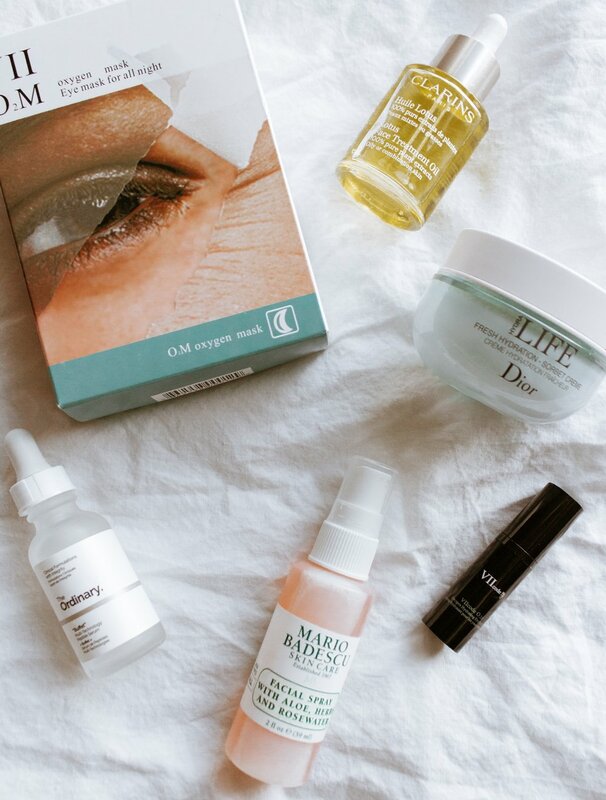 As mentioned earlier, I have been using these products for quite awhile before writing this post and love all of them especially when it comes to rehydrating my skin after traveling. If you have any questions about them, please let me know in a comment below or you can always send me a direct message! As I have gotten older, I have noticed my body craving more and more sleep! These days, I would ideally get an average of 10 hours each night. I would also ideally wake up looking well rested and not feel the need to drink caffeine each morning. In reality however, I am pretty busy and very rarely do I get to sleep that much. Only getting an average of 6 hours of sleep each night has definitely taken a toll and I have started to notice the development of some dark circles under my eyes. Because of this, I have been on the hunt for some under the eye masks for awhile to help eliminate my dark circles. 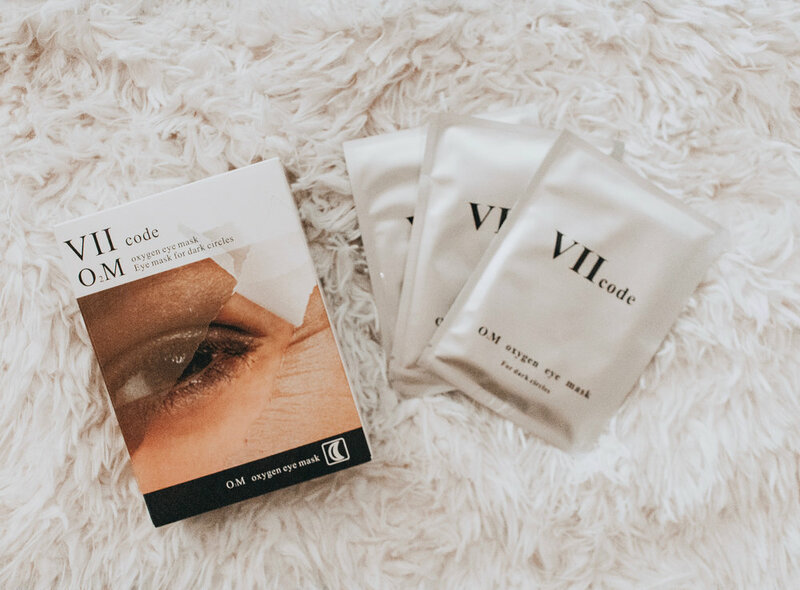 Although I had heard of VIIcode eye masks, I had personally never tried them before. Considering I had only heard good things, I figured I should try them for myself! One thing that really sold me on the VIIcode Oxygen Eye Masks are that they can be worn while you are asleep! Since I am pretty busy during the week, I am all for products that make a difference while you do nothing! It is recommended to wear the masks for 8 hours max at night or you can wear them for 2-4 hours during the day - this is a great alternative for all you ladies out that who don’t like sleeping with something on your face! Each box has 6 individually wrapped packages containing one pair. I definitely appreciate that they are individually wrapped because this way you don’t have to worry about them drying out and they are perfect for travel. I know some people will wear one of these masks every other night (or about 3 times a week) in which case one box will last you 2 weeks. One side of the mask is made from white breathable fabric while the other side has a thick clear jelly layer. 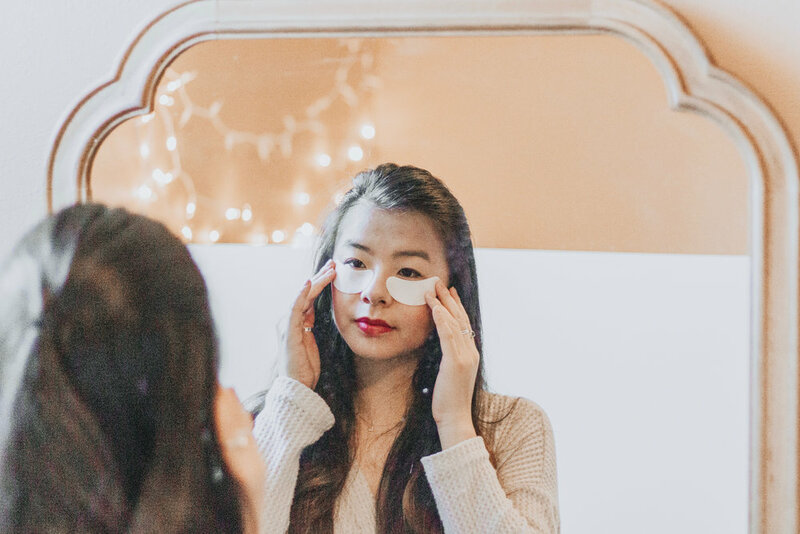 The gel is sticky enough to keep the masks from moving on your face during the night but is mess-free and does not leave any residue or cause any irritation making them very comfortable to wear for the full 8 hours. I’ve noticed that the skin under my eyes feels hydrated in the morning and I wake up with no signs of puffiness! In the winter, the skin under my eyes can get a bit dried out so these have been perfect for that.